Fish collection. 5000 x 5000 pixels. 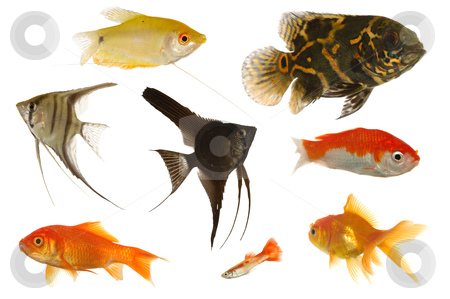 Many different aquarium fish isolated on white background.